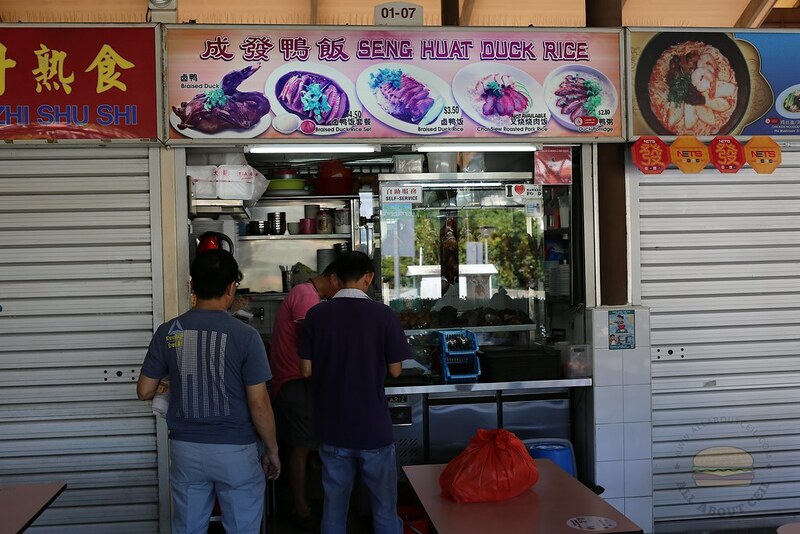 This is one of the stalls at Sembawang Hills Food Centre that I have been wanting to try but usually sold out when I was there for lunch. I made an effort to come early today and there were another 2 customers right in front of me when I was there at 11.00 am. I decided to go with the set meal for $4.50 and added a braised egg for 0.60 cents and duck liver for 0.70 cents. I was given a nicely chopped up duck leg that well presented on a plate accompanied by slices of cucumber. The braising sauce was lighter and not as salty with a notable cinnamon and star anise flavor. 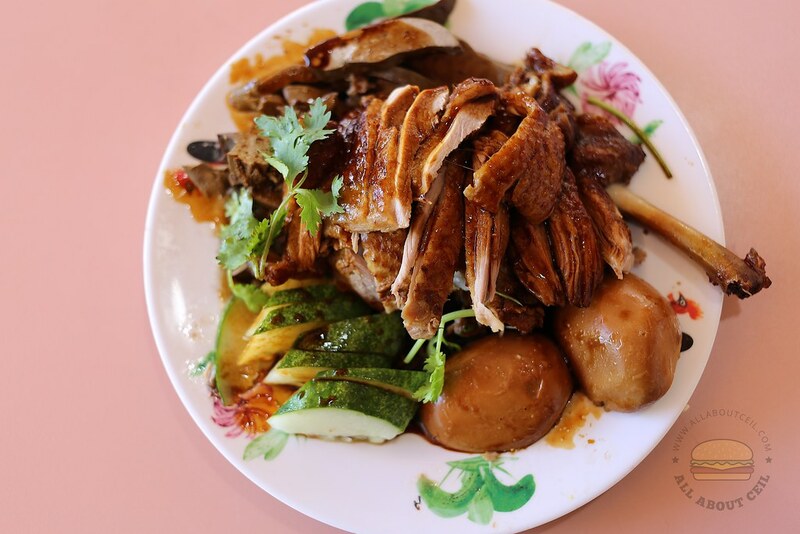 The duck meat was flavorful with the desired tenderness. It was served with white rice lightly drizzled with braised sauce. The chilli was good, its mild spiciness has brought forth the flavor. I did not actually like the soup that much. It had a light herbal-ish taste with its flavor further enhanced by the addition of coriander and though there was a garlic in it, it did not taste too garlicky. 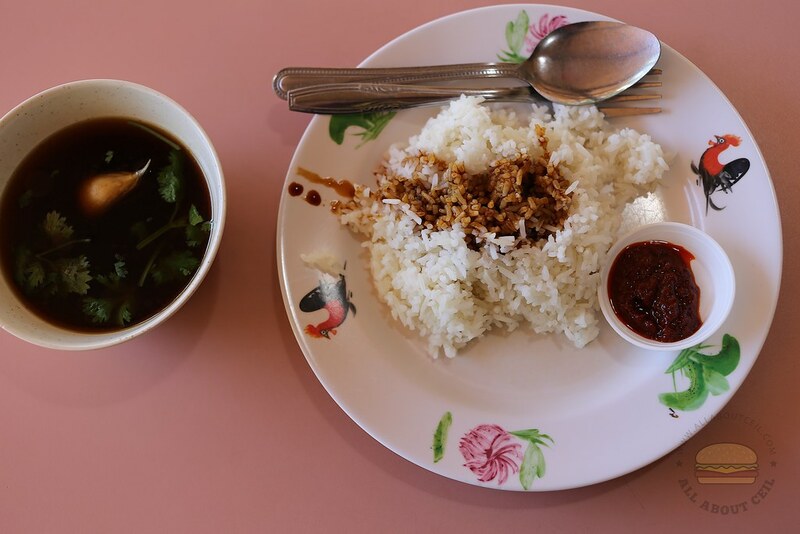 Sembawang Hills Food Centre : What to eat?